FRENCH PRESIDENT NICOLAS SARKOZY RECENTLY ADMITTED to his Jewish roots while on a EU tour of Greece on June 6 2008. In a popular book, “Nicolas Sarkozy’s Salonika,” Sarkozy reveals that his maternal grandfather, Aaron Mallah, (b 1890), was part of the Sephardic Jewish community in Salonika before moving to Paris in the early 1900’s. (Jews trace their racial identity from the mother). Sarkozy’s Mallah family is one of the oldest Jewish families of Salonika, Greece. To this day many of the Mallah family are still active Zionists around the world. Sarkozy, as the book reveals, came to Salonika for the first time in 1973 to receive part of the Mallah inheritance belonging to his Jewish mother. Sarkozy’s great uncle, Moshe Mallah, was a well-known Rabbi and a devoted Zionist who in 1898 published “El Avenir” the leading paper of the Zionist national movement in Greece at the time. Sarkozy great cousin, Asher Mallah, was a Senator in the Greek Senate, who in 1912 helped to establish the “Technion ” an elite technological university in Haifa, Israel. In 1919 Asher Mallah was elected as the first President of the Zionist Federation of Greece. Another of Sarkozy’s great cousins, Peppo Mallah, was an activist Zionist who in 1920 served as Greece´s Minister of Finance. After the establishment of the State of Israel Peppo Mallah moved to Israel & became Israel’s first diplomatic envoy to Greece. 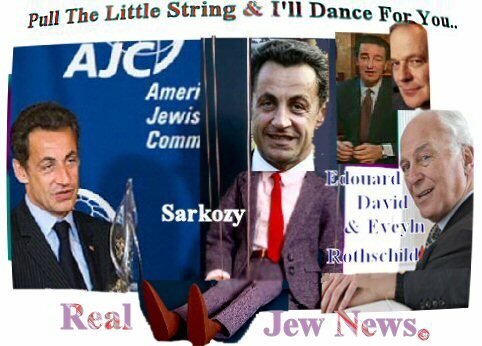 GIVEN SARKOZY’S JEWISH FAMILY TIES and his installment to the EU Presidency set for next month - a Sarkozy-Rothschild connection can be demonstrated. The Rothschild & Cie Banque of Paris recently called upon Nicolas Sarkozy to facilitate a merger between two French utility companies. Sarkozy gave the final push to the merger working closely with Rothschild banker Francois Perol. One month after Sarkozy’s election to the Presidency of France in 2007, Sarkozy admitted that during the campaign he contacted his “friend” Edouard de Rothschild, the owner of France’s daily Liberation, to complain about a journalist’s article about him. Edouard de Rothschild proffered his empathy to Sarkozy and no unfavorable articles had appeared in Liberation again. AS THE EU’S NEXT PRESIDENT Sarkozy plans to push for the ratification of the Lisbon Treaty even though Ireland just voted against it. Under EU laws if one of its member states rejects a treaty the EU is mandated to scrap the bill. But Sarkozy hopes that Ireland will buckle under pressure and fall into line. The usual tactic of the EU is to keep repeating a referendum until they achieve their desired result. Sarkozy as a puppet of the Rothschild controlled European Central Bank is hell bent on sacrificing France’s sovereignty and the sovereignty of all other European nation states on the altar of a One World Government. Wasn’t he also a political Sayanim at one point as well? 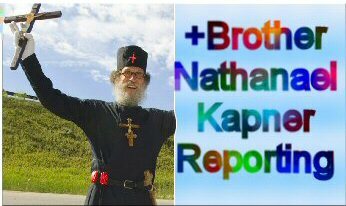 Rth 4:10 Moreover Ruth the Moabitess, the wife of Mahlon, have I purchased to be my wife, to raise up the name of the dead upon his inheritance, that the name of the dead be not cut off from among his brethren, and from the gate of his place: ye are witnesses his day. So Jesus was an Ephramite, of the tribe of Joseph, like his father David and his father Jesse before him. Right back to Mahlon. A real Israelite and not a Jew. “Democracy” in the EU is no different to “democracy” in Zimbabwe. If you can, deny the people a vote. When you can’t, and you lose, make them vote again, this time with increased threats and bullying to make them vote the “right” way (and work harder in the future to make sure there is no vote at all). This is the “post-democratic” future the NWO has planned for us all. how can i be a rothschild puppet? so that i’ll make big bucks? any idea? God’s “Chosen Race” and not the Satan worshiping Jews. Then they can assume our position as God’s Chosen and enjoy the lie until Jesus returns or they die. The Zionist Jews are the owners of our Administrations and Congresses for the last sixty or seventy years or at least since the old Southern Senators and Congressmen died off. Now all we have largely are money hungry lawyers hell bent on becoming wealthy by betraying us to the Zionist Jews. Jesus spoke against those who call themselves jews now,,,that’s all we need to know. As I have read some texts of identity, the Sarkosy jew took ancestors in Spain and were expelled already 500 years ago. Others to pass off to follow the Christian secret “marranos” (pigs)as they are called here. Can someone please tell me if China’s Central Bank (or the Chinese Government itself) is in cooperation with the Zionist Jew Rothschild? If so, can you show proof or at least show me an example? If not, show likewise. Thank you. I just lost my job in a public shool because of reflecting on the fact that entire media in the US physically belongs to the Jews, and that the American people, especially kids, do not have any other point of view on history and modern developments but Jewish. Well, the Jews who heard me confirmed the truth of my words by isolating me from the kids, who in their opinion must be informed only by the Jews or those who echo them. This is only an example of real persecution of people of the US by Jews. Jews do violate our constitutional rigts of free speech. It is very disturbing that president of France is a Jew. It is probably even more disturbing that President Obama has Jewish relations on his wife’s side. People must unite in order to defend their rights, otherwise it will be only one right, the right of the international Jews to persecute all people while the Jewish bankers will impoverish all of us to the point of death or total servitude. I hear also that in many countries with Zionist governments thosands of people are already imprisoned only for their disbelief in Jewish myths of our time. ISRAEL HAS MANY NUCLEAR BOMBS, KILLED MANY CIVILIANS (1300 PEOPLE AT GAZA ATTACK 2008, 20 AT MAVI MARMARA, AND RACHEL CORRIE). US President doesn’t condemn Israel at all or give any sanction. In fact, US President always sends US$ 3.2 billion per year to Israel. IRAN ONLY WANTS NUCLEAR REACTOR FOR PUBLIC ELECTRICITY. US President under the Jews order tries to give sanctions to Iran and even attacks Iran with false accusations made by the Jewish media such as Iraq’s WMD weapon that never exist! Well, just look the Video how the Jews own money machines such as the Fed, IMF, and World Bank. With the money, the Jews finance US Presidential campaigns and make US presidents as their puppet! No wonder all that fuss about the Burqa!